After launching Prudential’s new “Bring Your Challenges” platform – the company’s first unified brand effort in 135 years – it decided to tackle one of the biggest financial challenges facing America: retirement. With 10,000 people retiring every day, this institution is undergoing unprecedented changes due to demographic and economic shifts. As a result, people must plan for retirement in new ways. As a company with 85+ years in the retirement business, Prudential is ideally suited to spread this message. The agency believed stories from real retirees could inspire and educate others, so the team launched “Day One,” an integrated campaign encouraging people to start the conversation around retirement and proactively plan for their own. The campaign asked people across the country to document their very first day of retirement, leading to over 5,000 photo submissions and intimate portraits of retirees talking about their lives, their hopes and fears, their families and their newfound freedom. The whole country shared in the experience through eleven television commercials, ten short documentaries, a “Day One” website that let participants share their photos and stories, radio spots, OOH in airports and bus shelters across the country, and iconic out of home placements in New York City. 2012 will see a continuing of one of the largest societal shifts in American history. To spread the message even further, the team looked to the biggest city in the country: New York. The objective was to continue building momentum from the 2011 Day One campaign to get people to think proactively about their retirement and illustrate the sheer volume of people that are now retiring every day in America, and specifically in New York. Prudential wanted to continue the Day One conversation and make a macro societal issue relevant to people on a personal level. To raise awareness of the retirement boom and compel people to begin thinking about the realities of their own financial future, the agency contracted two high impact out of home placements: the Midtown Tunnel board and a digital billboard outside of the Lincoln Tunnel. These units were ideally situated to capture people’s attention at the moment when they’re least likely to be thinking about their financial futures: sitting in traffic. With these two boards, Prudential could reach a broad audience of different ages, income levels and life stages. At the same time, the campaign needed to keep the message relevant to this mass audience, so the team created a program that centered on real New Yorkers, starting with a five-day teaser build of the Day One message. Next, the billboard was used to solicit New Yorker’s participation by submitting photos and stories on their Day One. Finally, those same New Yorkers were featured on the boards themselves. The campaign then went a step further. Not only were the real faces of New York retirement out in the world, photos and long form audio documentaries of select retirees were also prominently featured. People viewing the billboards could tune to a radio station to hear “Day One” stories as well as inviting people to join the retirement conversation at www.dayonestories.com. Every two months, the team refreshed the Midtown and Lincoln billboards with three new retirees, sharing their stories via a custom radio station housed on the Lincoln Tunnel billboard, as well as on the website. 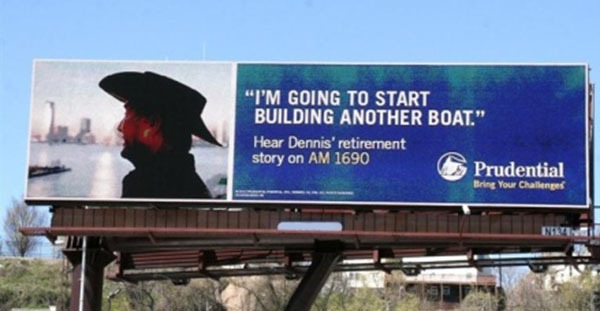 The program was supplemented with additional billboards featuring a quote from each retiree’s radio spot. These billboards ran at the Lincoln Tunnel and on a billboard that could be seen when entering the Midtown Tunnel, rounding a holistic, engaging, relevant out of home program that captivated New Yorkers for nine months. Over 250 retirees participated in the campaign, and more than one million unique visitors have used the Day One site. 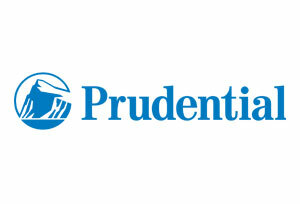 In a short time, Prudential has become more recognizable and connected to the people who need their service.